2014 was a very exciting year for The WIRE – In April 2014, The WIRE became a non-profit organization within the District of Columbia! The WIRE started the year off strong. In January 2014, The WIRE held a focus group with Susan Folk, Chief of Learning and Career Development, and Jerri Kirby, of West Virginia University, to assist with improving programming in facilities housing incarcerated females. 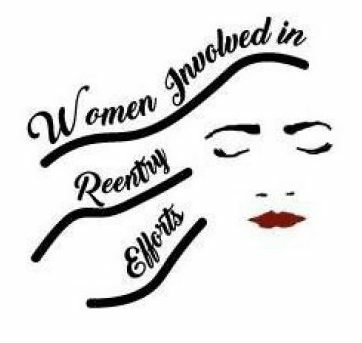 The WIRE continued its’ outreach events to women preparing for reentry. In May 2014, The WIRE went back to the Fairview Halfway House in Washington, DC to visit the women to discuss strategies for a successful reintegration back into society. In February 2014, The WIRE facilitated discussions with the community to educate individuals about the challenges of incarceration and the reentry process. The WIRE spoke to students at American University and Howard University who were majoring in areas of Law and Criminal Justice. The WIRE also facilitated a panel discussion led by community leaders with children of incarcerated and formerly incarcerated mothers to inform the public about the effects of incarceration on youth. To meet our mission to raise awareness about the need for gender-responsive programs, services and policies to enable formerly incarcerated women to successfully reintegrate into society, The WIRE co-sponsored two reentry conferences and was invited to speak at a reentry conference between February to June 2014. In February 2014, The WIRE co-sponsored a reentry conference for practitioners serving formerly-incarcerated women and gathered several national speakers and leaders in criminal justice to speak about gender-specific reentry. Then again in June 2014, The WIRE co-sponsored the first annual reentry leadership conference for female returning citizens. This event was a collaboration between DC’s Criminal Justice Coordinating Council (CJCC),the DC Mayor’s Office on Returning Citizen Affairs (MORCA), DC’s Court Services and Offender Supervision Agency (CSOSA), and the Howard University School of Law. The WIRE also was invited to speak at a reentry conference sponsored by Professor Whitehead of Maryland University in May 2014.